The countdown clock is running: At 3:14 p.m. ET Thursday, two American astronauts and a Russian cosmonaut will begin their trip to the International Space Station. This is the second attempt by Hague and Ovchinin to get to the ISS. 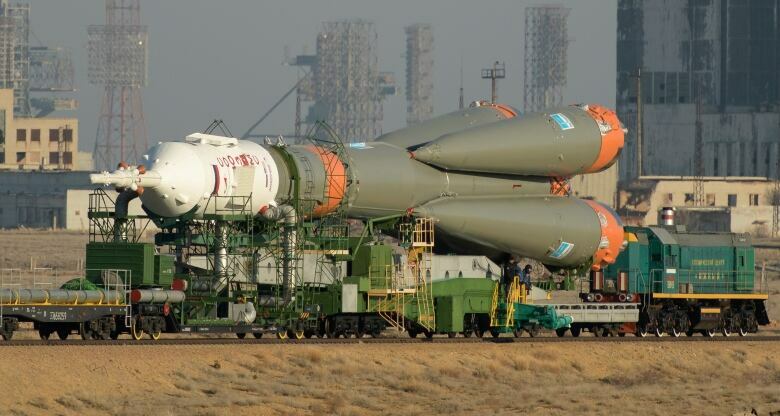 They were originally scheduled to launch in October, but had to abort their mission after their Soyuz rocket had a booster separation malfunction. The astronauts will blast off on a Russian Soyuz-MS-12 rocket from the Baikonur Cosmodrome in Kazakhstan. After a few orbits around Earth, the Soyuz capsule will dock with the ISS at 9:07 p.m. ET.